This article appeared in the March 2013 Newsletter of the 1:1 Institute. Regardless of what your reaction is to the English Language Arts (ELA) Common Core State Standards (CCSS), they promote media and technology use and creation embedded throughout the traditional literacy components of reading, writing, speaking and listening, and language. 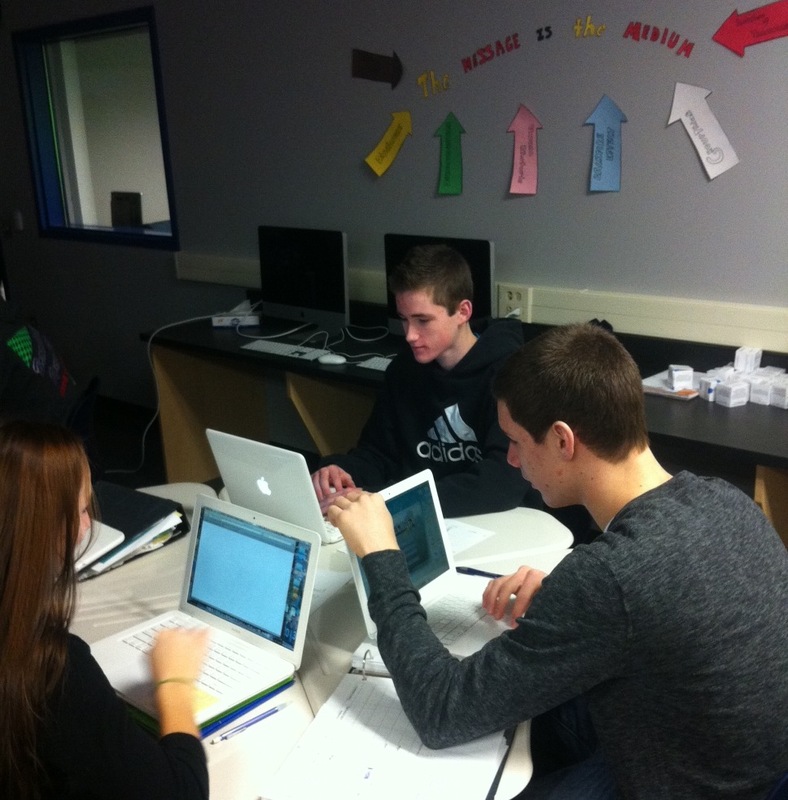 The Media Edge program in the Salisbury Township School District (a Project RED Signature District and Apple Distinguished Program) is a model for how Common Core standards and media and technology can be embedded in a 1:1 laptop-learning environment. Media Studies – Students gain a foundation in media encompassing history, theory and influence. Media Messages – Students are challenged to investigate the psychology of media development and how media affects society. Media Management – Students develop application skills focusing on creating and broadcasting for the school and local community through hands-on work with industry-standard hardware and software. Student learning has been strengthened through VISION skills by challenging students to push to the edge of creativity, developing projects and products with the available technology resources and access. For example, in the Media Messages unit titled “Disclosure,” students were provided the freedom to invent (inception) based on an abstract communication theory. Students developed questions and determined the information most relevant to the presentation and the audience (interrogative). The skill of noticing was exercised and developed as the media students applied a metaphorical lens to their ideas, often comparing and connecting what was learned with familiar objects and ideas. Students then located and defined “status quo” ideas and presentations already available in their world, and then storyboarded new ideas (vision). Once students settled on a vision, they created their product, recognizing that fluidity and openness of thinking are essential to the creation process, that failing is always a way to build for the future, and that positive risk-taking generates new ideas. View a sample project encompassing the VISION skills at http://bit.ly/15mjlx7. At Salisbury, it is not only important to provide students with access through a personal laptop computer, but to provide students with curricular opportunities based on standards that teach students how to think, not what to think. For more information, contact Kelly Wetherhold at kwetherhold@stsd.org. The Media Edge curriculum documents can be reviewed at http://bit.ly/13rQ6ul. Reblogged this on The Media Edge.